As we move into the indoor season, we are starting the arrangements for the 2018-2019 Senior Academy. This will run between November and March 2019 and provide coaching and training opportunities to our top recurve and compound archers. We are also planning a Senior Academy Session to Eaton Manor and this is planned for the weekend of 15th to 17th February 2019. 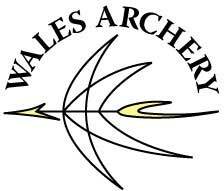 This year we are trying a different selection approach and we will be making use of the WAA Ranking List as a way of identifying those archers who will be invited to join the Senior Academy. This will involve us inviting the top 3 ranking archers from each of the recurve and compound categories, provided they have submitted 5 scores for the ranking list, all of which will need to be of Bowman standard or above before an invitation will be made. We will review the Ranking list after the 1st October to ensure we use the most up-to-date results. We appreciate that not all archers are interested or available to participate in the Senior Academy and where an archer does not wish to attend, we will then invite the next archer on the ranking list. Archers who are already receiving coaching and support from AGB will not be invited to be part of the Senior Academy as they are already receiving support from other coaches. They will, however, be welcome to come and train with the senior academy or attend training sessions at Eaton Manor if appropriate. Junior archers who are on the senior rankings list will not be invited to be part of the Senior Academy as they will be expected to join the Junior Academy. Once at Academy, we will be asking archers to identify the areas they wish to improve on and will also be providing coaching and support over the indoor season, including sessions on aspects such as nutrition, fitness, mental training, technical skills - using video analysis of technique and equipment knowledge/ tuning. I’d be happy to answer any questions anyone might have on this so please contact me on cpplemum@aol.com if you want any further information.